Hundreds of companies are embedding OrientDB into their applications, hardware, and appliances to accelerate time to market and release new products at a fraction of the cost. ISVs and OEMs are looking at new databases to build next generation solutions and OrientDB is the perfect choice. Lightweight (starting from 3MB) and easily embeddable, it offers several advantages and interesting features. 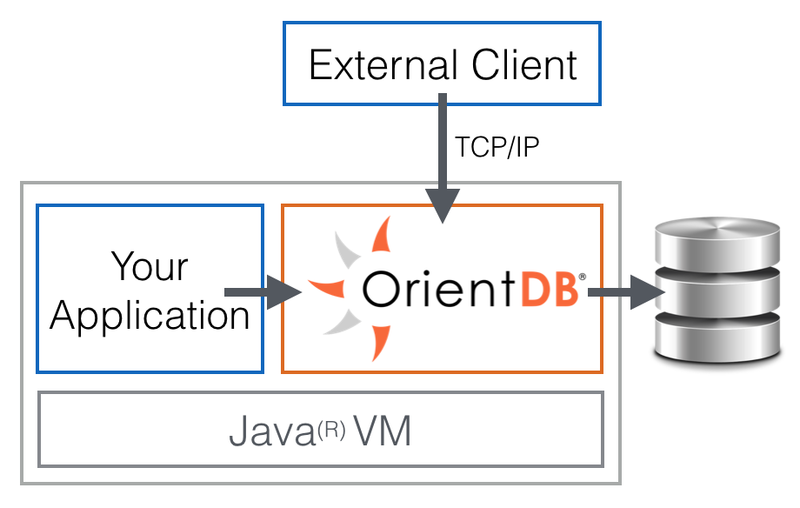 OrientDB is written in Java*. If your Application is also written in Java* or any other language supported by a JVM, it can be executed in the same JVM where OrientDB runs. No Servers to start and connect. This means your Application completely avoids the network roundtrip with zero latency and maximum throughput. Even if running in Embedded mode, OrientDB Servers can be synchronized with other servers in synchronous and asynchronous mode. Having many boxes within your Application and OrientDB together is the best solution for the maximum of performance and scalability. OrientDB Community Edition is Apache2 licensed, that means FREE for any usage, even Commercial. If you are interested on embedding OrientDB Enterprise Edition in your next cutting-edge Application and/or having Professional Support, look at Support Subscriptions. If you’re going to sell many copies of your Application, apply for the OEM license. Ask for a quote.